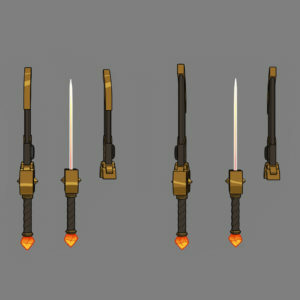 Spoilers for those who have not yet finished The Dragon Prince. 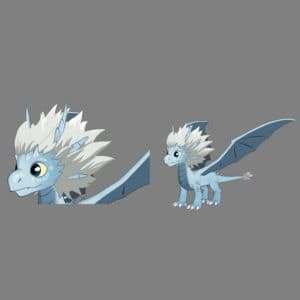 Azymondias (Zym for short) is the son of the fallen Dragon King, Thunder, and thus the Dragon Prince himself. 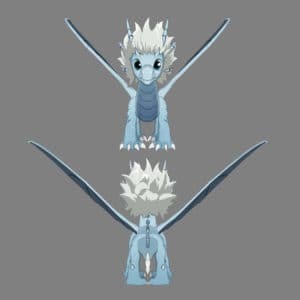 Zym is destined to become the most powerful creature in the world… but for now, he’s just a hatchling. 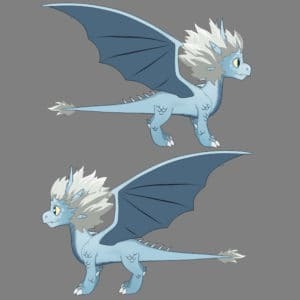 With Zym so innocent and vulnerable, Rayla, Callum and Ezran have their work cut out for them getting little Azymondias home to his mother, the Dragon Queen. 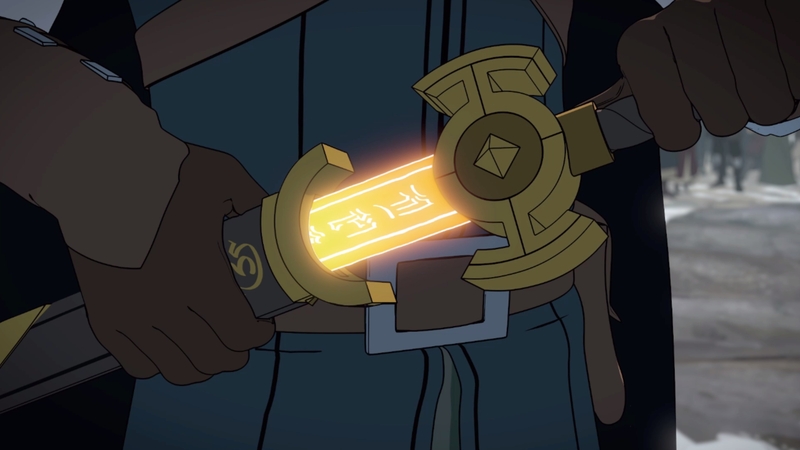 First seen in episode 7 of The Dragon Prince, wielded by the feisty mercenary, a sunforge blade is a rare, poweful weapon forged by Sunfire Elves. 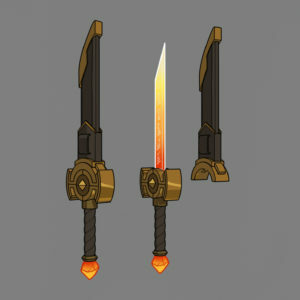 Infused with magic, a sunforge blade stays as hot as the moment it was forged for hundreds of years and can cut through other blades like butter. 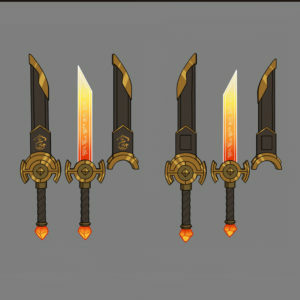 They must be kept in special, rune-scribed sheaths that protect the wielder from the blade’s intense heat.